Parkland and Veteran trees. Barnsley’s landscape is enriched by historic parklands with scattered, distinctive, sometimes veteran trees punctuating open areas of grazed grassland. Historic parklands have important features that support wildlife such as lakes, ponds, gardens, grassland, orchards and old built structures. However they are particularly notable for mature or veteran trees occurring as individuals or small groups of trees in grazed grassland, a form of ‘wood pasture’. 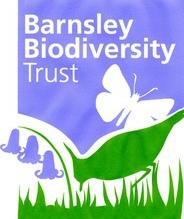 Parkland is a local priority habitat because of its national status, its local significance, the plants, animals and birds it supports, and the opportunity for its conservation in Barnsley. Veteran trees are important for biodiversity and included in this local priority habitat whether in parkland or elsewhere. Urban parks with origins in the 19 century are also significant as habitats where they contain older trees and features. The Local Priority Habitat is a form of national priority habitat Wood Pasture and Parkland. Surviving parkland in Barnsley is mainly in a corridor to the west of the M1 from Bretton to Wortley, including Cannon Hall and Stainborough parkland. Barnsley’s historic parklands were developed in the 17th to early 19th centuries; with some replacing medieval deer parks. In the 19th century urban parks, like Locke Park, were developed. Some parkland sites have been lost or damaged through development or open cast mining. 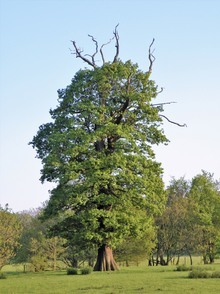 Other parkland has been turned to uses such as arable fields, plantations and amenity land, however some parkland features such as veteran trees may have survived even there. Veteran trees support a wide range of often uncommon fungi, lichen, mosses, invertebrates - particularly beetles, and notably bats. The mosaic of grassland and other habitats in parkland supports a wide variety of wildlife.